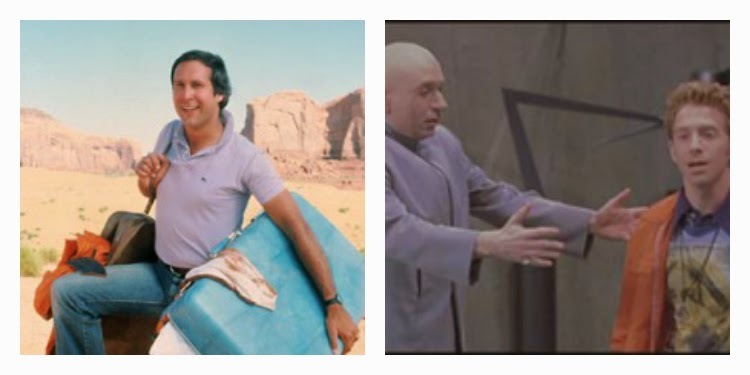 From Clark Griswold to Dr. Evil, countless movies have been filled with terribly cliché fathers trying to be cool around their children and failing miserably. Though I was never the coolest kid in my school, or the least, I was friendly enough to at least stay on the fringe. Now I’m at the point in my life where my desire to be popular is greatly outweighed by my desire for the mythical good night of sleep. 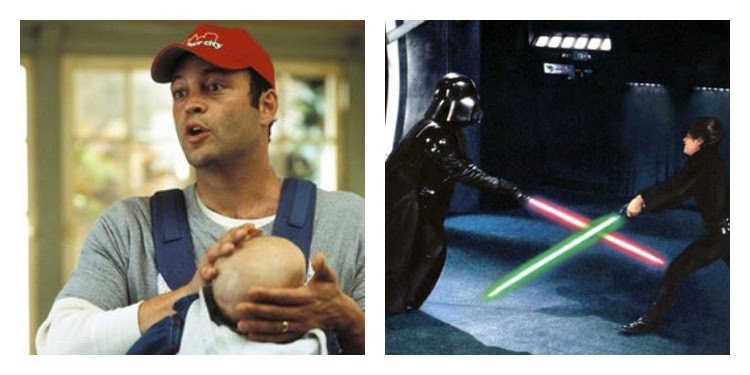 Still I want to be and have fun with my kids and if they want to view me as more fun like Vince Vaughn in Old School than known terrible father Darth Vader, so be it. But a couple recent events have made me realize that maybe I’m not as cool as I think I am, or maybe it’s just that my boys are already breezing past me right before my eyes. Mrs. Dude and I took the boys bowling recently and I never expected that seemingly innocuous experience to open my eyes so broadly. I hadn’t been bowling in many years, other than on Wii where I’m an expert, so I was surprised at how long the lanes seemed and how heavy the ball felt. As we took our turns gliding our tie-dyed spheres down the slick lane I felt like I was having a good time. It was fun to get out there with the boys at this stage when they still need us and don’t realize that before long they won’t want to bowl, or do anything else in public, with us anymore. As we took our turns, aided mercifully by the raised bumpers denying any gutter balls, I heard a couple of older kids in the lane next to ours calling the Littler Dude’s name. Not paying much attention because his name is not uncommon, after a moment I realized they were indeed calling for my 2 year old. I looked up but couldn’t place these kids, who appeared to be about 10 years old, so the fact that they knew my son was both perplexing and concerning. Several thoughts raced through my mind as I stood there when suddenly I noticed the Littler Dude’s preschool teacher standing a little further back in the next lane. These were her kids who had taken a shining to the Littler Dude on a couple visits to his school. Whew. It truly surprised me that these elementary schoolers would turn their focus from a group of 8 or 10 of their friends to even notice a 2 year old, let alone pay even a smidge of attention to him, but then it hit me: my 2 year old son is cooler than me. This is clearly the beginning of my boys’ upward trajectory and my plateau. Hopefully I’ll have another 50 or 60 years on earth, but I’ll likely never again be as hip as I feel like I once was. (Note: using the word “hip” means I’m clearly not.) I’m not suggesting that I need to be put out to pasture quite yet, but as my psyche is coming to terms with me turning 40 later this year, I realize that I’m no longer a kid. Despite feeling a little sore the day after we bowled, I’m not feeling too many aches and pains yet. I’ve been working on becoming healthier because I know I must keep my machine in solid working order to keep it running smoothly as long as possible. I may be getting older but I don’t intend to feel old in the process. That afternoon, while the Littler Dude napped, (who’s cool now? ), I visited my barbershop for an overdue cut. 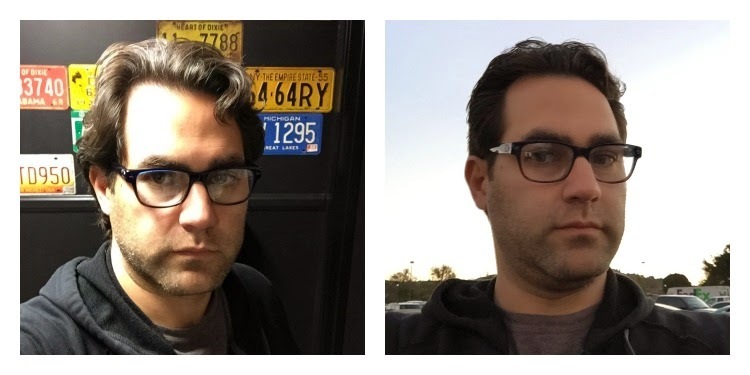 I saw a new stylist who did a great job (and not only because she noted that I have a good thick head of hair), which really reinvigorated me a bit as I’d been feeling a little shaggy. As she used the clipper to clean up my neck and sideburns, I heard the buzz getting significantly louder when it dawned on me that she was trimming the tiny hairs on my ears. I attributed it to my uber-strong hair follicles and Russian ancestry and let it go. A few minutes later, though, after she applied the styling goop to my hair in a generous effort to make me look a smidge less like, well, me was when I received official confirmation that I’m not as cool as I thought. It’s official: my kids have clearly surpassed me in coolness and there’s likely no turning back. When your 2-year-old turns into a teen and starts growing his first mustache, you'll get the cool throne back (at least until he succeeds). eyebrows ever more to be referred to as "over-eye lawn". I can advice your kid college report writing service that will help you both in the future. You'll find a lot of useful essays there.